A place where Bugatti owners and enthusiasts can come together and share their interest. Come and visit the future, enjoy the country and its people. The International Rally 2014 will be spread across the North and South island. Starting in Auckland with a hub in Taupo and Napier during the Art Deco weekend. A ferry crossing over the Cook straight. Driving to Christchurch and a day off in Queenstown. I've added a list with some of Eggy's books, will add more in the future. If you'd like to see yours added, please send me and email so I can do that. 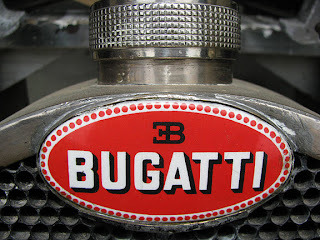 During Sunday's Bugatti meet of the North Island group we discussed setting up a subcommittee to organize the 2014 international Bugatti rally. This will be held just after the schoolholidays in early February on the North and or South Island for 5-10 days. We need to find interesting venue's, routes and sponsors etc. So I thought let me start a blog where all can contribute and we make it the best we can. First thing to do is post this URL to all who were there and contact the South Island group to see what they have done, or if they want to be involved. Immigrant from the Netherlands, living in New Zealand since 1999. Traveling the country to explore nature and its inhabitants.